What happened in Cuba was basically the collapse of a dream. That’s obvious, but nonetheless painful. Specifically in the arts, the 1980s was a time of incredibly energetic and critical creativity, the product of a generation of young artists committed to the prospect of truemeaning truly independentexpression. It was a cohort of artists who were committed to the utopian project of revolution, and who considered it a natural part of their role as artists and citizens to participate critically in that process. After 1989 that all fell apart, along with the country’s fundamental sense of purpose. Yet artists continued to produce. I began work on the book convinced that the production of the 1990s was a cynical betrayal of the enthusiastic commitments of the 80s, but soon came to realize that the chastening experiences of the 90s were actually the most important part of the story. Writing this book was, for meas a child of the sixtiesa way to come to terms with the failure of utopian ideas about culture and social change. And more than that, it gave me a way to think through the process of living, without illusions, the experience of disillusionment. My own engagement with Cuban art began in 1985, the result of a happy accident. I was immediately fascinated by the work that my peers in Havana were making: it was incredibly rich and diverse in aesthetic terms, and there was a social energy around it that I had never experienced in other artworks. This was a time when “political art” in the US was largely sloganeering and directed against government policies (e.g., the wars in Central America), and what was happening in Cuba felt much more oxygenated and much less narrowly construedpolitical in its engagement with real and shared political space, rather than with the ideological surfaces of institutional power. The “utopia” of the title points in a couple of directions: the dream of a just and equitable society, and that of an artistic practice that has full partnership in that project, without conceding its unique expressive, intellectual and idiosyncratic foundations. To and from Utopia in the New Cuban Art deals with a pretty broad range of questions in contemporary art, especially ones having to do with the edges at which art intersects with the social and political fabric. The book is about an artistic movement that, in the space of a couple of decades, developed extraordinary momentum as an occasion and catalyst for public debate in Cuban society, and whichwith equal rapidity, not to mention paradoxbecame a poster child for political commitment in the global art market. The book traces these developments, looking closely at the works and the circumstances under which they were produced. I also zoom out into the broader context, looking at the ways that Cuban state policies impacted cultural production on the island and its circulation internationally: this includes sections on how this “new Cuban art” was neutralized into a mere formal innovation by the national museum, alongside the parallel martyrological narrative that plays out in the Museum of the Revolution. Juan Francisco Elso’s “Por América” is one of the many remarkable works that I write about. An effigy of José Martí, it is an exquisitely painful portrait, depicting the Cuban national hero as a barefoot figure clad in mud and wielding a machete. Elso’s Martí achieves, through formal means best recognizable in the folk carvings of popular heroes, some amplifications to and reopenings of the meaning of Martí whose essence, as that of all the heroes, had become fixed and frozen a long time before. It escaped monumental history’s discouragement (we can never measure up), antiquarianism’s first principle of remove, and acknowledged that in fact it was living with a very tenacious, unrequited past. Elso’s Martí made plain the doubled relation that he and others had to their own social space: with the ambivalence of both insider and outsider positions they were part of it, identified with it, plugged into its energy source, but unsatisfied by it and profoundly critical of it. In its act of historical memory, the work had rescued remembering from rote distraction in the name of reconstituting a sense of personal, everyday ethics. It collapsed the vertical gap of deity and reclaimed the revolutionary promise of everyday heroism. Its doubling made the hero, and the “terrible desire to believe” uncanny, potent, unnerving and poignantly awry. In fact Elso’s portrayal was so far removed from the version that is ubiquitously present across the islandfrom monuments to patiosthat it was denied the prize that an international jury wanted to award it at the Havana Biennial in 1986. The controversy was about the de-heroization of an icon. Paramythological and parahistorical, icons are symbols intended to be clear in their meaning. Elso took Cuba’s central icon and made it so complex, contradictory, emotional, and ambiguous that it was impossible to nail down. No, it said, it can never be clear. Martí’s death had set the standard for proportions of sacrifice in Cuba, and Elso’s Martí died incomplete and unresolved, his entire project reopened as a wound in the work, an open wound at the heart of the contemporaneous Revolution. The new Cuban art grew up in the supercharged and conflicting currents of revolution, sometimes tracking to its optimism and at others scalded by it. But even more than that it was an art with extraordinary relation and relevance to the life of the country across social, domestic, cultural, and psychological registers: aggressive, protean, and perennially restless within an extraordinary conviction about the possibilities of art. 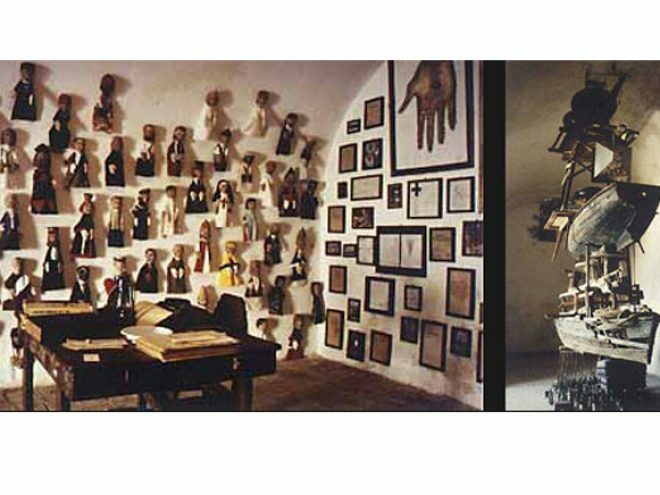 In 1981, Volumen Uno, an exhibition at a Havana gallery, inaugurated a new chapter in the rich history of Cuban art. Featuring an eclectic mix of works by eleven young artists filtered through a variety of styles-informalism, Pop, minimalism, conceptualism, performance, graffiti, and povera-the art was a sharp break with the past in both form and content. More of a phenomenon than a formal movement, the new Cuban art was both a reaction to the sovietization of Cuban culture in the 1970s and the dynamic entry of a generation of artists born around the Revolution and formed by its orthodoxies and its poetic idealism. In this spectacularly illustrated volume, Rachel Weiss offers the definitive critical history of the new Cuban art, exploring its remarkable artistic accomplishments and its role as catalyst for, and site of, public debate. Weiss draws on two decades of engagement with Cuban art and on the statements of the artists themselves to read individual artworks against the complex relationships between artists, their local and global audiences, and the Cuban state. Tracing the shift from the optimism of the early 1980s to the cultural cynicism that paralleled the near-collapse of Cuban society in the 1990s, To and from Utopia in the New Cuban Art identifies a renewed idealism among the artists about the potential role of culture in Cuban society.